Building a Bridge Across the Globe Thanks to an exchange program funded by the Japanese government, a group of W&L students spent Washington Break immersed in the culture of Japan—and welcomed Kanazawa University students to W&L one month later. Not many life-altering travel experiences come with a price tag of only $50 per person, but that’s all it cost for 23 Washington and Lee University students and two chaperones to visit Japan over Washington Break. The eight-day trip took place thanks to a rare opportunity known as the Kakehashi Inouye Scholars Program in collaboration with TOMODACHI Initiative, which is fully funded by the Japanese government (W&L’s Provost Office chipped in to help cover the cost of a charter bus to the airport). Each year since 2013, this invitation is extended to only a handful of American schools, and since no school will be selected twice, the trip was especially meaningful for the W&L students and chaperones who were able to go. As part of the same exchange program, a group of students from Kanazawa University in Japan visited Lexington in late March to get a taste of the American college experience and reunite with Generals they befriended in Japan. The program was created in memory of U.S. Senator Daniel Inouye, who represented Hawaii for almost 50 years and was the highest-ranking Asian-American politician in U.S. history. It is part of the Japanese Ministry of Foreign Affairs’ KAKEHASHI project, which is administered by the U.S.-Japan Council (USJC). The KAKEHASHI project aims to improve Japanese-U.S. relations by inviting American youth to Japan for study tours. The USJC has been especially keen to strengthen U.S.-Japan relations in the aftermath of the 2011 earthquake that spurred a tsunami and a nuclear disaster in Japan. The exchange program is named after Operation Tomodachi, in which the U.S. military and Japan Self-Defense Forces combined efforts to bring humanitarian relief to areas impacted by the earthquake and related tragedies. 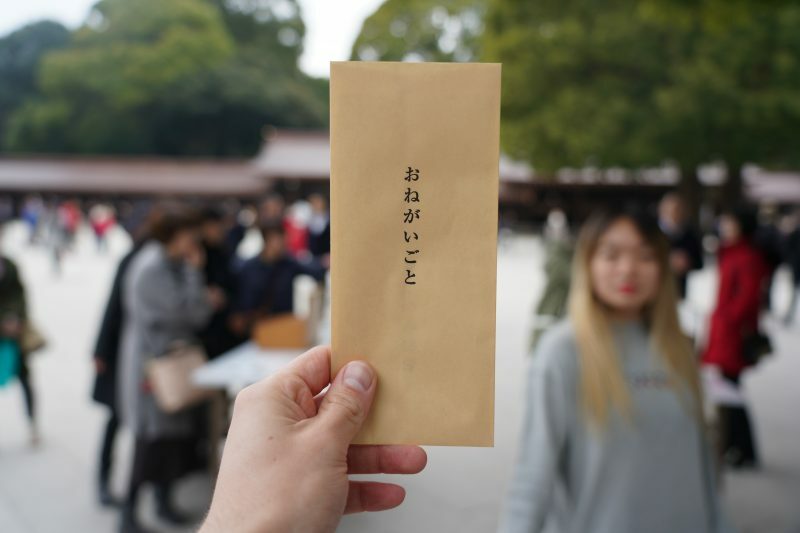 Ikeda used an online application and an interview process to select students for the trip, with a preference for first-year and sophomore students who were taking a Japan-related class but had not been to Japan. Only a couple of the students who went had visited Japan before, and some had never traveled internationally. Lots of preparation took place in advance of the journey to help students make the most of it—and to ensure that they represented W&L well. 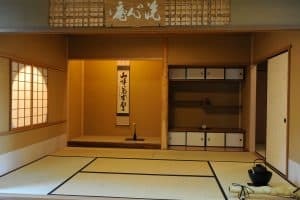 As Ikeda explains, hospitality is central to Japanese culture, but so is the concept of consideration for others, and the expectation that a guest will have respect for the host. The group had several orientation sessions, including one in the Senshin’an Tea Room inside the Watson Pavilion at W&L. They also got a lesson from Visiting Instructor of Music Morgan Lutig so they could perform the Washington and Lee Hymn while in Japan. The trip itinerary, which was scheduled down to the minute, started with two days in Tokyo. There, the group met an interpreter and explored such sites as the Ministry of Foreign Affairs and the Edo-Tokyo Museum. They then took a bullet train to Kanazawa, where they spent the majority of their time. In Kanazawa, they visited Kanazawa Castle Park and Kenrokuen Garden, the Ishikawa Prefecture regional products center, and Kanazawa University, where they met students and observed a typical day of university life. They also spent two nights with host families as part of a home-stay experience, which most described as the highlight of the trip. Host families treated their American guests to a variety of experiences, such as tours of the area, dressing in kimono, playing with Japanese children, taking traditional Japanese baths and sampling authentic local cuisine. For Laurie Lee ’22, the exchange program represents the type of experience she hoped to have at W&L, but it defied her expectations. About a month after returning to Lexington, the group welcomed their counterparts from Kanazawa University to W&L. The Japanese students toured campus, sat in on Japanese language classes and participated in the Science, Society and the Arts conference. While in the U.S., they also visited Washington, D.C. The W&L students who visited Japan feel the same way; many can’t wait to return for a longer stay. Some may have that chance during Spring Term 2020, when W&L will offer a study abroad experience in Japan. Others are thinking about taking more classes in Japanese language, literature or culture.